Farmers regularly agonize over two stubborn issues: the health of the soil and the glut of livestock manure. While manure does enrich the soil, there is still too much of it to use up and the earth continues to suffer from chemical pesticides and heavy equipment compaction. Aquaponics answers these challenges by using fish effluent to feed the plant roots which, in response, cleanse the water of waste. This enterprise works in small and large scales, providing a self-sustaining ecosystem for vegetables and fish alike. For best results, it is important to know the best vegetables to grow in aquaponics. Leafy greens lend themselves well to aquaponics because their roots descend from shallow trays where the seedlings rest. Drawing up the wastewater nutrients from the fish tank, the lettuce plant absorbs the fish waste as food, and thereby purifies the water. The newly freshened water then returns to the fish tank. Growing lettuce this way avails the grower of year-round cultivation, an advantage given the health benefits. Red leaf lettuce, for example, contains vitamin C, thiamine, riboflavin, niacin, pantothenic acid, vitamin B-6, folate, choline, beta-carotene, vitamin A, lutein and vitamin K. This makes it one of the best vegetables to grow in aquaponics. Cabbage is also among the best vegetables to grow in aquaponics. Available in red and green varieties, this vegetable is universally recognized for fortifying the body against cancer. Cabbage is very high in fiber, vitamin C and beta-carotene. Research is ongoing regarding the phytochemicals in cabbage that can possibly reduce the likelihood of breast cancer. In traditional farming, the most expensive inputs associated with cabbage are avails the grower of year-round cultivation. None of these are factors with aquaponics. Since this vegetable is ubiquitous in sauerkraut, stir-fries, cole slaw and salads, you might want to consider the abundant harvest reaped through this method. There is a reason Popeye always ate his spinach. Not only is it dense with vitamins A and C, it also holds folate and calcium. Spinach, too, is a champion cancer fighter. In addition, it fosters resistance against cardiovascular disease. 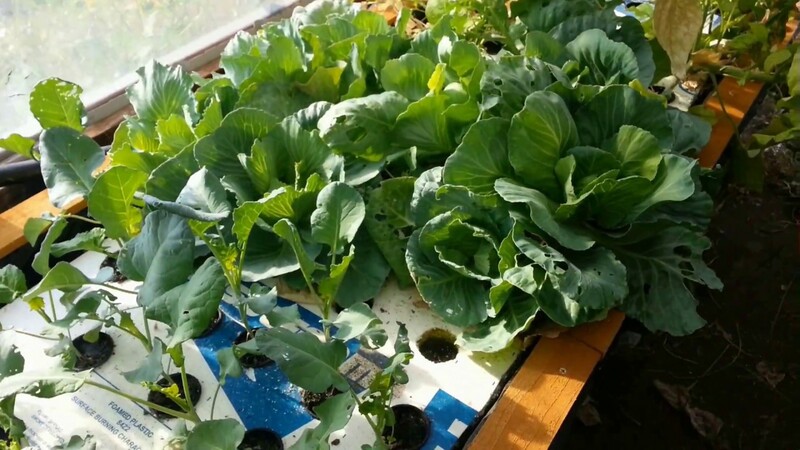 Since aquaponics avails the grower of year-round cultivation for plants, cabbage growers can be confident that their crop is one of the best vegetables to grow in aquaponics. If your aquaponics system is indoors, be aware that spinach prefers cold nights and warm days. Whether you grow your vegetables is a greenhouse or your own house, you should program your thermostats accordingly. While there are seeds and seedlings that withstand winter better, that should only be of interest to outdoor system users. Considered the ultimate leafy green in terms of antioxidant and phytonutrient density, kale also ranks high among the best vegetables to grow in aquaponics. It is popular in smoothies and soups, not to mention baked into chips. 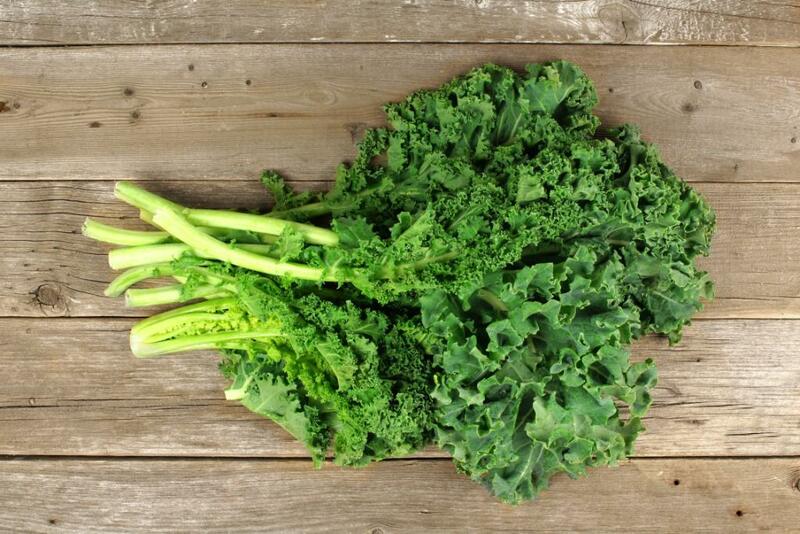 A regular supply of fresh kale promotes robust health and wellness. The fish tank for growing kale should be avails the grower of year-round cultivation levels, slightly on the alkaline side. Baking soda can raise pH while peat moss can lower it. An important caveat is to confirm the tolerance capacity of the fish in the tank before adjusting the alkalinity. Mustard greens are cruciferous vegetables that help to detoxify the bloodstream and ward off cancer. In fact, mustard greens receive credit for assisting in the repulsion of ovary, prostate, bladder and colon cancers. Moreover, this vegetable possesses anti-inflammatory properties that alleviate conditions like asthma and emphysema. Mustard is one of the best vegetables to grow in aquaponics, especially for health-conscious cultivators. Mustard greens grow in cooler climates out in the world so aquaponic growers should bear this fact in mind when adjusting water temperature. Goldfish and koi would do well in a cold-water tank if mustard is the crop of choice. Like kale, mustard receives nutrients best when the water is slightly alkaline. 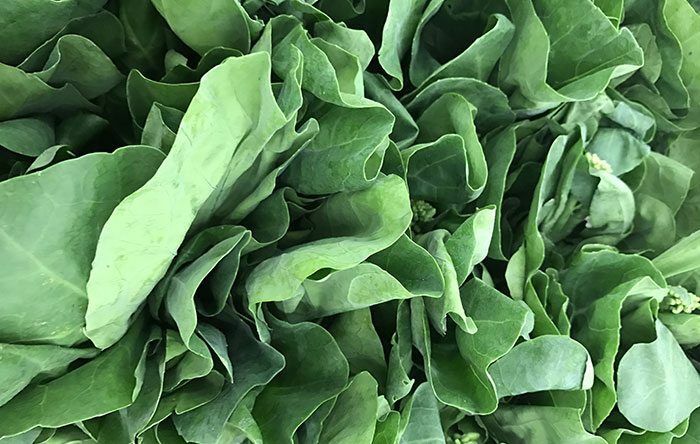 As with other leafy greens, swiss chard is an excellent source of fiber, calcium, iron and folate, as well as vitamins A and C. While the leaves are the principal components people like to cook and eat, the stems are also highly edible and good additions to many recipes. For non-traditional farmers, swiss chard classifies with the best vegetables to grow in aquaponics. Aquaponic swiss chard can grow to maturity in as little as 25 days. While the plants themselves need ample light exposure, the water–as always–needs shielding to prevent algae from forming. Since swiss chard does best with a little extra nitrogen in the fertilizer, it is well-suited to nitrate-rich fisg effluent. Interestingly, this vegetable tolerates higher levels of salinity than many other vegetables. As an aside, tilapia are fish that also bear up against high salinity. In addition to the health and longevity commonly associated with the leafy greens above, improved digestion and weight loss come with the regular consumption of watercress. 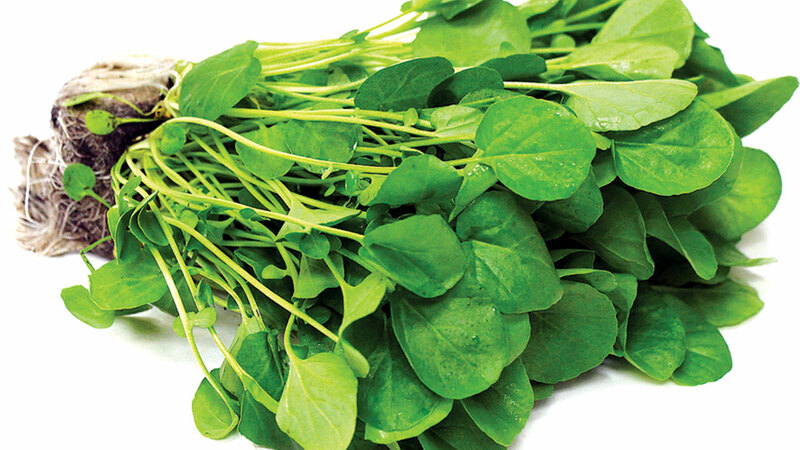 Its high fiber adds to a feeling of satiety because, similar to lettuce, people most often consume watercress raw. The caretenoids in watercress participate in the repair of cellular damage. Since watercress grows naturally in flowing water, its adaptability to aquaponics is natural and easy. Drawing its root food from water is nothing new to this vegetable. Optimal water pH lies between 6.5 and 7.5. Tilapia waste harbors sufficient potassium for watercress cultivation. Aquaponics is a fast and efficient way to grow food without soil. The most efficacious growth occurs with leafy green vegetables. Yet fruiting vegetables and root crops are also possible with this growing technique. The quick uptake of the fish – generated nutrients by the roots – and subsequent return of cleansed water to the fish tank – leads to accelerated maturity and generous yields. The fact that aquaponics supports the most nutritionally dense and fibrous plants is particularly notable. 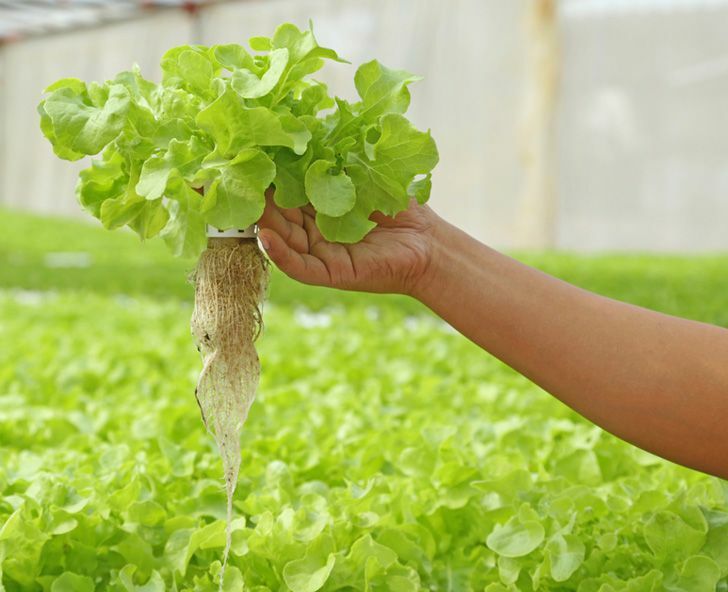 Although aquaponics is a sometimes expensive and time-consuming investment, serious gardeners will appreciate the rapid development of these highly nutritive plants. Hey Buddy!, I found this information for you: "7 Best Vegetables to Grow in Aquaponics". Here is the website link: https://backtofarm.com/best-vegetables-to-grow-in-aquaponics/. Thank you.